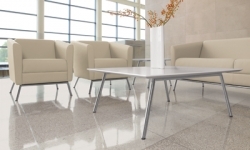 Glass or laminate topped tables complement contemporary office decor. High pressure laminate tables designed to coordinate with River seating. 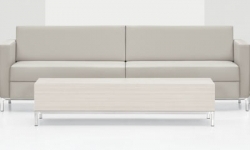 Designed to impress with clean lines and tapered legs, complementary to Camino seating. A contemporary metal frame design for an elegant presentation with timeless appeal. An extension to Wind Linear seating that incorporates freestanding and modular tables for additional layout configurations. 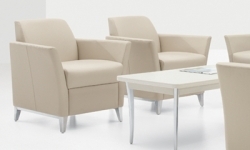 A complete line of laminate tables, complementary to Sirena seating.